Mezco Toyz are proud to bring you this King Kong of Skull Island 7" action figure complete with accessories. 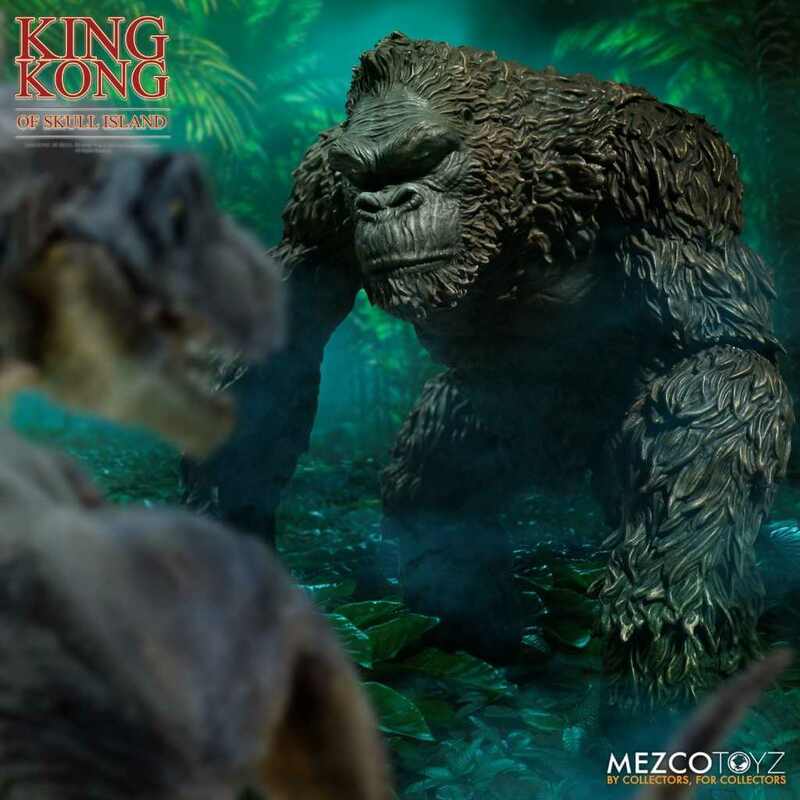 From Mezco Toyz comes this King Kong of Skull Island action figure standing approximately 7” tall and designed with over 25 points of articulation plus there are several interchangeable hands, two head portraits, shackles with real chains and a figurine. King Kong is the oversized monstrous Gorilla that ruled Skull Island and terrorized New York and was a novel written in 1932 by Delos W. Lovelace as part of the advertising for the film released in 1933. King Kong of Skull Island comes packed in a collector-friendly window box, which perfect for display. The perfect addition to any fine monster collection!